Campeggio Stuhlegg si trova a Krattigen, Berna. Il campeggio a terrazze dispone di piazzole senza ombra e piazzole poco ombreggiate. È possibile affittare bungalow. Il campeggio dispone di un parco giochi e di un campo sportivo. Non è sempre necessario cucinare, perché all’interno del campeggio ci sono snackbar e ristorante con menù poche portate presente. In campeggio è possibile acquistare generi alimentari e pane fresco. Potete navigare su Internet, poiché nell'80% del campeggio potete navigare con il vostro portatile. Ogni anno un ispettore visita il Campeggio Stuhlegg, controllando oltre 200 tra attrezzature e altri punti di interesse del campeggio. L'ispettore è un dipendente ACSI e non lavora per il campeggio. We found this to be a very well run site. English is spoken by the site owner. There were wonderful views and sunsets. The site was central for visiting all the attractions in the Interlaken area. The site shop sold basic goods & there were two small supermarkets with-in a mile of the site. We paid an extra 12 euros for a pitch near the front of the site which gave better views and more space. We would return to this site if visiting the area again. Friendly site with good facilities and ideally situated for enjoying the beautiful mountainous surroundings. A nice little site with an open aspect overlooking the lake and half way up the hill, possibly a bit difficult to get up to for larger units. The better and more expensive pitches have lake views but as ACSI customers we were allocated a standard pitch nearer the back of the site, but still open and grassed. The site was very friendly if somewhat regimented by the Swiss owners and seems to be mostly used by Dutch and Germans. The toilets and showers were very clean and high standard. Tokens for the shower were given when we booked in (4 mins shower per token) but topping up the motorhome tanks with fresh water had to be paid for. I should imagine the site is very quiet & peaceful most of the time but we arrived on a Wednesday teatime when the local shooting range had its meeting. More like Beirut ! The site was not the best for dog walking and there were no readily accessible free areas to let our dog off the lead. Despite this we stayed here two nights and would return. Volete prenotare il Campeggio Stuhlegg o oppure saperne di più? Potete farlo usando i seguenti dati. Autostrada Basilea-Berna-Interlaken. Uscita Leissigen in direzione di Krattigen. 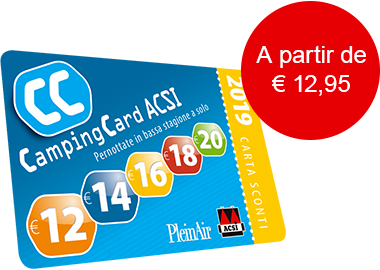 ACSI Eurocampings invia la tua richiesta di informazioni al "Campeggio Stuhlegg".